I love baking and birthdays, so I thought a lot about a dessert to make for Jeff's big day. The wheels were turning, but I had to remind myself that this was about Jeff and his tastes, so I asked him for the three flavors or ingredients that he likes the most. His answer? Oatmeal, peanut butter, chocolate chip cookies. I literally typed those things into Google and was bombarded with recipes for every cookie imaginable. But I make cookies all the time and I wanted this to be extra special. 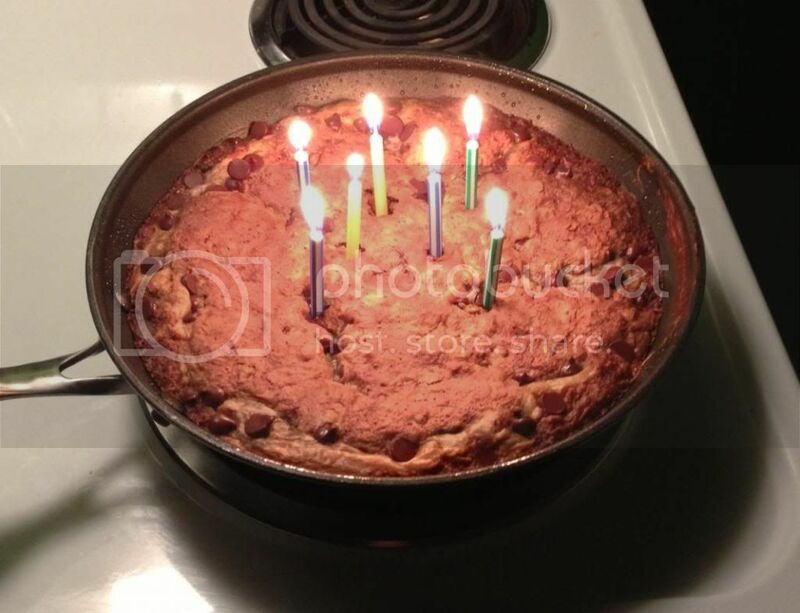 I have been curious about cookie cakes for a while (they were not a common treat in my upbringing and I've only had it once), and I figured a cookie cake would be the perfect way to combine all of Jeff's favorite things. 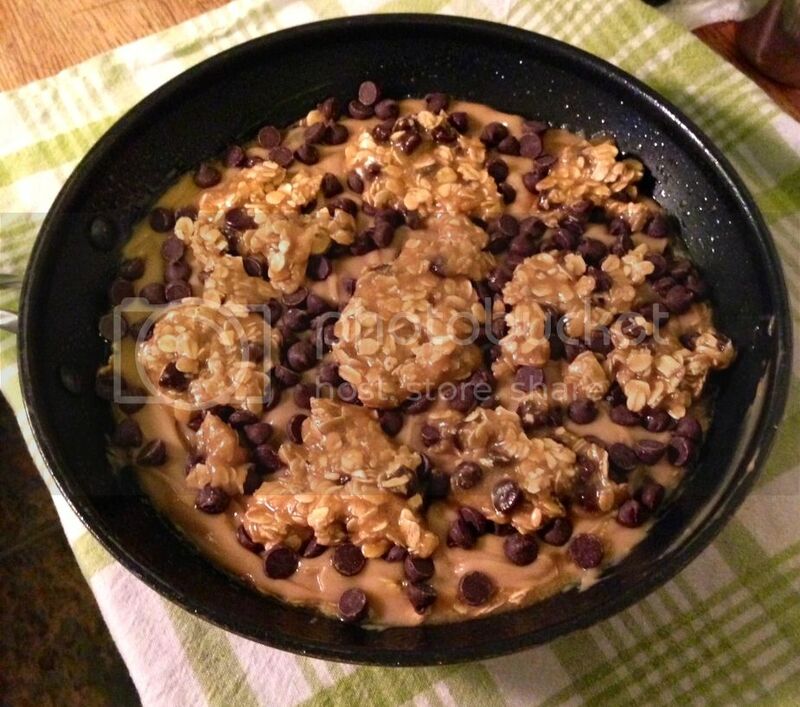 Enter the Chocolate Chip Peanut Butter Oatmeal Skillet Cookie. It was love at first sight. Preheat oven to 350 degrees, spray oven-safe skillet with cooking spray (or a 9x9 cake pan). In a large microwave-safe bowl, melt the butter for 1 minute or until fully melted. Add sugar, egg, and vanilla to the melted butter and whisk to combine. Add the flour and baking soda and stir until just combined. Mix in oats and 1/2 cup chocolate chips. Pour about half of the dough into the skillet, reserving the rest to be added at the end. Set skillet and bowl with remaining dough aside. In a small bowl, combine milk and peanut butter and stir until smooth. Pour mixture over the dough in the skillet. Evenly sprinkle the chocolate chips over the top. Drop tablespoons of the reserved dough onto the peanut butter mixture, until the dough is used up and the top is mostly covered. Bake for about 30 minutes, or until edges begin to brown and the top of the cookie is set. The original recipe states that the cake will continue to cook in the skillet and not to over bake it. I would say that this is completely up to you and how you like your cookies. I followed the directions and while it did continue to firm up a little, the bottom layer was still like cookie dough when we sliced into it an hour after it came out of the oven. It was still INSANE, literally the most flavorful thing I've ever eaten, and we sat there with our forks in our hands and our jaws dropped. I covered it overnight and then baked it for about 15 more minutes the next day. The flavors had set more by then and once it had cooled, I sliced it into bars and sealed it in Tupperware. It was so amazing for the rest of the week! This is a "must try" recipes if you love peanut butter, oatmeal, and chocolate chips. The peanut butter forms a rich, creamy, icing like center that perfectly complements the brown buttery oatmeal cookie and chocolate. It was not too sweet and a scoop of vanilla ice cream really tied all the flavors together. I won't be waiting until February 22 to make this again! 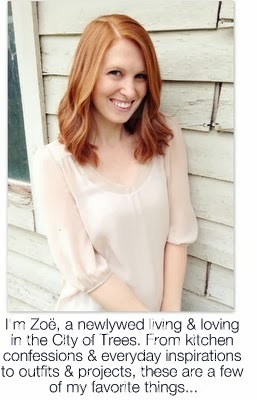 oh my gosh this is ridiculous! oh my god, you literally made my dream dessert. looks amazing! oh. my. gosh. i don't cook... but i THINK i could do this! oh my god i want to make this so BAD! 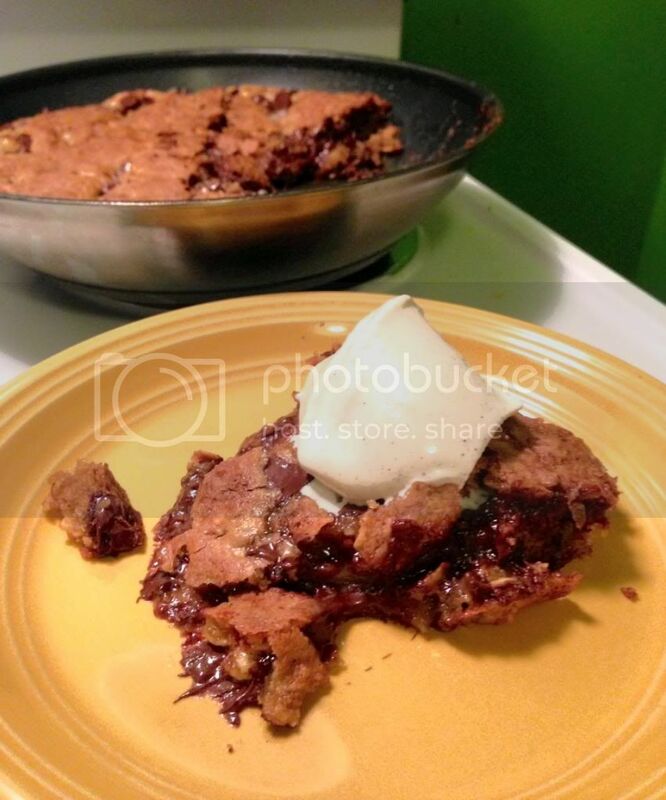 I have always wanted to do this, and I want to even more now that I see how gooey and chocolately it is. This is an acceptable thing to have for dinner, right? Hire best packing and moving company in indirapuram at Dealkare. Hire best company for seo services in gorakhpur. Here you can sell used cars which are based on CNG, Petrol or Diesel in very good condition at very affordable range in Delhi.